A campus library or I refer herein as academic library is a peaceful and awe-inspiring place. The main functions of an academic library are to provide resources and research support for students and faculty of the educational institution. It can also serve as a successful architectural model, bringing a good combination of art and learning. We have here collected a few of the most stunning university libraries in all of China for you -- and perhaps this inspires your studies a bit. 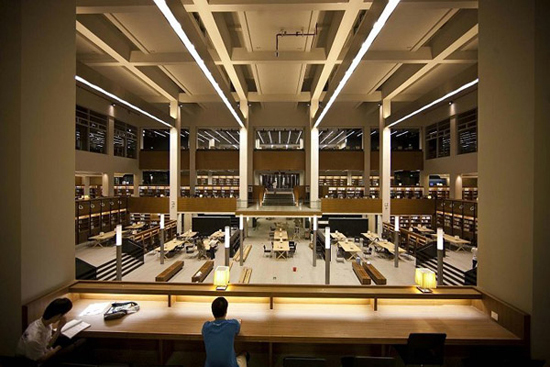 The following are the top 10 most beautiful campus libraries in all of China. 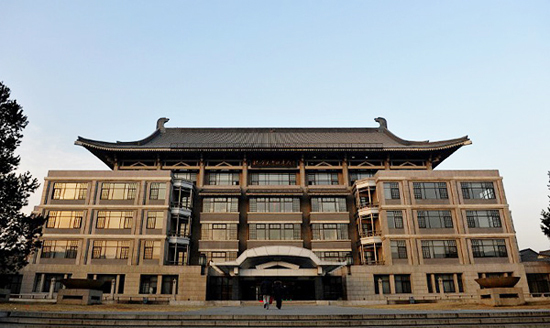 On May 4, 1998, when Peking University celebrated its 100th anniversary, a new library building was founded. Sitting by Weiming Lake, the new building -- or the library’s east building -- sponsored by Hong Kong business magnate Li Ka-shing, was put into use in late 1998. Covering a total area of 51,000 square meters, the library has over 4,000 seats for readers, with a collection of 6.5 million books, making it the largest campus library in all of Asia. 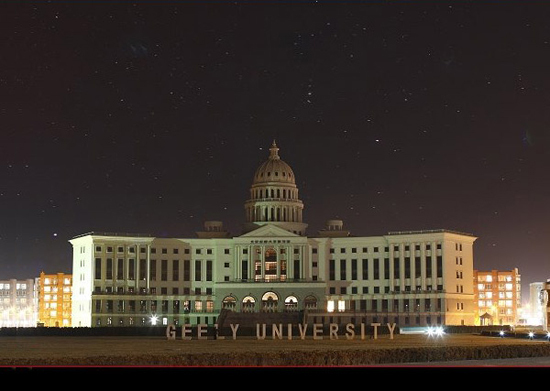 The library of Beijing Geely University is situated at the picturesque Geely Square by Geely Lake. Occupying an area of 24,000 square meters, the library looks imposing yet elegant. It has more than10 reading rooms and about 3,000 seats for readers, with a collection of 1.51 million books, 1,200 types of periodicals, 110 types of newspapers and 110,000 digital books and magazines. 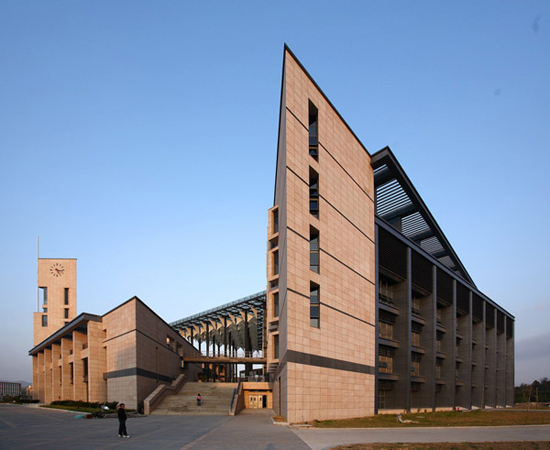 Shantou University Library, designed by Ray Chen, winner of the “Design for Asia Award” handed out by Hong Kong Design Center, was inaugurated and put into service in 2009. It is allegedly “the most beautiful university library in Asia.” Built to resemble the form of a traditional “Chinese thread-bound book,” the library building successfully combines traditional culture with modern art. Covering a total area of 21,000 square meters, the library features 2,118 seats and 27 seminar rooms and also possesses an exhibition room, lecture hall, conference center and student lounge. It has a collection of 960,000 books. 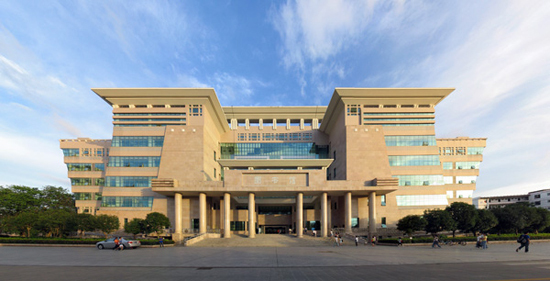 The library of Guangdong University of Technology is composed of three buildings located on the University Town Campus, Dongfeng Road Campus and Longdong Campus. Covering a total area of 74,004 square meters, it has 5,915 seats for readers. The library features a collection of 4.33 million books, including 2.84 million hard copies and 1.49 million digital books. The East Campus Library of the Sun Yat-sen University was put into service in October 2004, covering an overall area of 36,000 square meters. Thanks to its outstanding design, the building won the 2006 Luban Award, a major engineering construction award in China. The building itself is equipped with the most advanced anti-theft system, self-service return machines and photocopiers. By December 2012, the collection of the university’s all four campus libraries and three sub-libraries reached over 5 million publications in total. It also has 46,000 kinds of electronic journals, 1,220,800 e-books and 300 kinds of CDs and network databases. 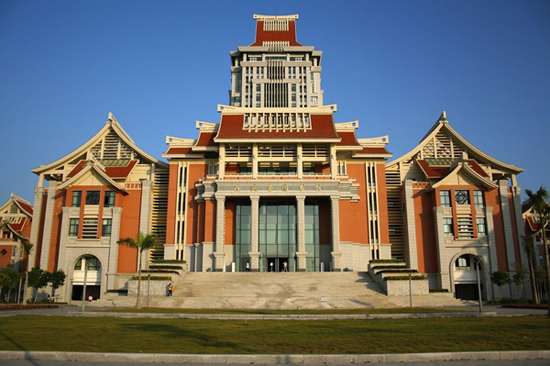 The library of the Southern Medical University consists of three buildings on the main campus, Chigang Campus and Shunde Campus, covering a total area of 48,777 square meters. Sitting by a lake, the Shunde Campus Library is a seven-storey building inaugurated in 2007. Designed in the style of traditional Chinese architecture, the library building features red walls, purple tiles, overhanging eaves and large entrance halls. 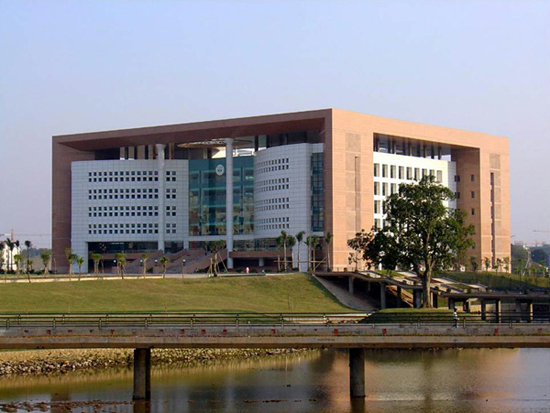 It has 80 computers for book searching, 32 individual study rooms and 3,000 seats for readers. The new library of Guangxi University was inaugurated in November 2002 and put into service in 2003, as the largest and most sophisticated library in all of Guangxi. The library was sponsored by both the Chinese government and Hong Kong business magnate Li Ka-shing. Covering an area of 32,338 square meters, the library building itself oozes grandeur and elegance. It offers 3,634 seats for readers and possesses a collection of 5.44 million books and periodicals, including 3.32 million hard copies, 2.12 million e-books and 20,000 types of e-journals. The Guizhou University Library is an 11-storey building with 10 stories above the ground and one underground, covering a total area of 59,500 square meters. Painted red, the exterior of the building features traditional Chinese elements, resembling the Chinese Pavilion of the Shanghai World Expo. The library features a collection of 1.8 million books and 9,000 seats for readers to enjoy them in peace. 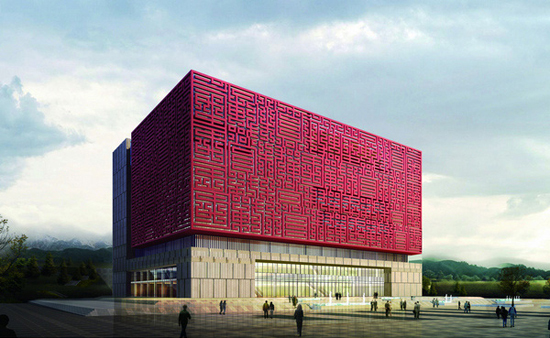 Built in 2006, the new library of Fuzhou University Library is situated at the central area of Qishan Campus, as a landmark of the campus. In the shape of a square, the library covers an area of 35,500 square meters. The building won the 2008 Luban Award, a major engineering construction award in China. 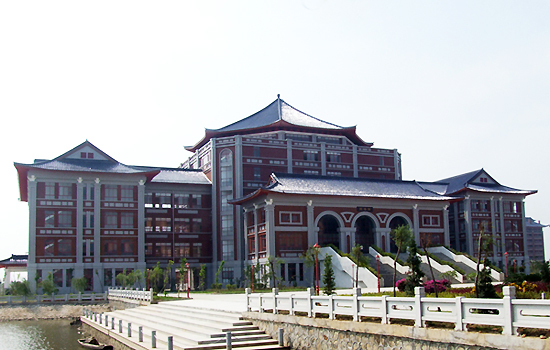 The library of Jimei University is composed of the Yankui Library, Jiageng Library and a number of reading halls. The whole library covers an area of 56,986 square meters, providing 6,160 seats for readers to quietly enjoy what’s on offer. In addition to a collection of 2.12 million books and documents, plus another 2,900 kinds of journals, the library also features 37 databases for books and periodicals. 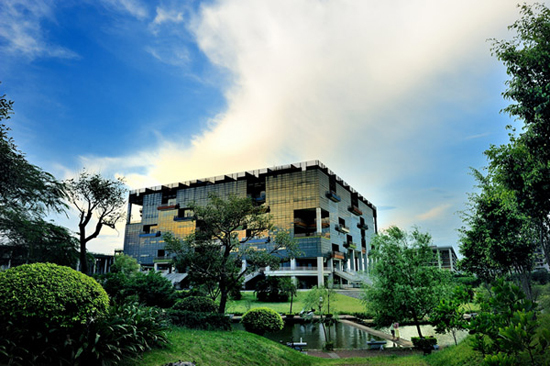 The Yankui Library is situated on the main campus of Jimei University.